The U.S. Army Aviation and Missile Command will offer a new course geared toward teaching new federal employees needed skills for career and professional development. The course, Emerging New Leaders Program (ENL), is an updated version of the Upward Leader Investment for Tomorrow (UpLIFT), according to Jared Tarver, a Human Resources specialist assigned to AMCOM G1. "This course is open to all new Department of Defense, Department of the Army and other federal employees assigned to Redstone Arsenal. It's sort of a 'greening course' to teach the employees core competencies, such as basics of leadership, communication, the Army Values, and effective presentation skills," Tarver said. AMCOM created and hosts several professional development courses that meet the needs of the Army, the Army Materiel Command and AMCOM. For AMCOM specifically, the courses meet the AMCOM Line of Effort 3, Human Dimension, to build and sustain a team of professional trained, resilient and ready workforce of flexible and adaptive leaders, and multi-skilled Soldiers and civilians. The first ENL class is scheduled for June 11 -27. The students attend class three days each week for three weeks. During the course, the students will complete a "selfless service" project at a local non-profit organization, listen to talks from various guest speakers, complete and present a group presentation on what they learned in the course and how they plan to incorporate the Army Values into their daily life. "The students gain insight and knowledge about value-based leadership, networking and a host of other beneficial skills they need to grow in their careers," Tarver said. 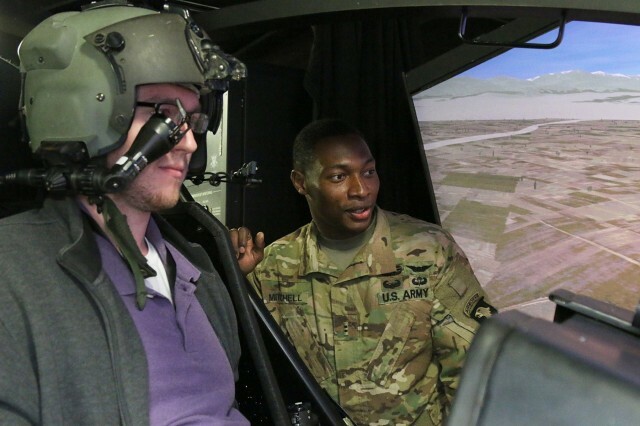 Most of the classes will be held at Toftoy Hall, here on Redstone Arsenal, but the students will also take a one-day staff ride to Fort Campbell, Kentucky, to "immerse participants in the daily life of the Warfighter, our client," Tarver said. "This trip helps them to connect the dots between such tasks as ordering aircraft parts to the actual use of the helicopter on the battlefield." Registration is open until May 24. The employee's supervisor must approve the application for the employee to be considered for the course. Interested employees may register at https://amcom.aep.army.mil/G3/CMD/suptool/LMS/default.aspx. For those who do not have access to AMCOM's SharePoint site, contact Jared Tarver by email at usarmy.redstone.amcom.mbx.lift@mail.mil or (256) 842-9040.